[Watch] State Capture Inquiry continues - SABC News - Breaking news, special reports, world, business, sport coverage of all South African current events. Africa's news leader. Former African National Congress (ANC) MP Vytjie Mentor has told the State Capture Commission – under cross examination – in Parktown, Johannesburg, that there are issues regarding South African Airways (SAA) flight records detailing her alleged trip to Johannesburg to meet then President Jacob Zuma. 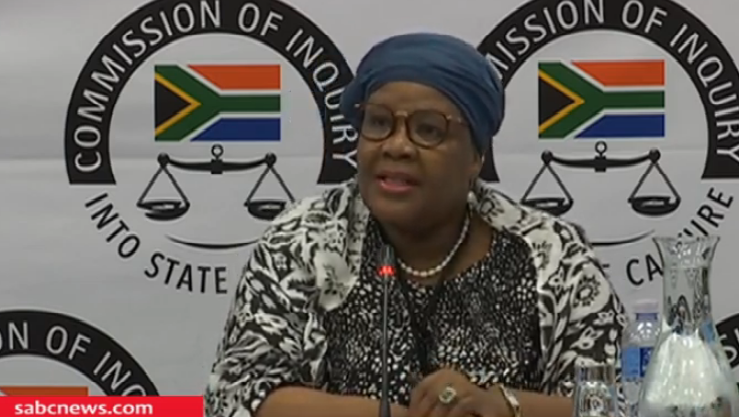 The legal team at the Commission has argued that there are no SAA records showing she boarded a plane to Johannesburg on the date in question. Mentor says she’s compared SAA records with those of the parliamentary travel agency, and there are disparities. This entry was posted on 11 Feb 2019,02:08PM at 2:08 PM and is filed under Politics, News, Homepage Featured Story Slider. You can follow any responses to this entry through the RSS 2.0 feed. Both comments and pings are currently closed.